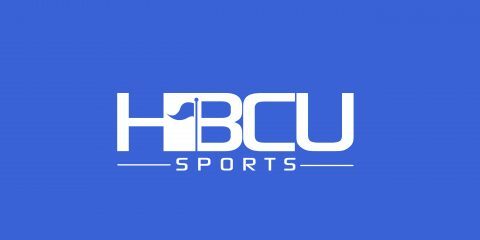 Vote: Will You Stand for the National Anthem When it is Played at HBCU Football Games this Weekend? Willie Simmons seems likes a fine head coach and good man. In his second year, the former Alcorn State offensive coordinator has turned the Prairie View Panthers into one of the better programs in the SWAC, going 15-6 over the last two seasons. The Panthers are, without question, headed in the right direction for years to come with Simmons at the helm. But the Panthers do not belong in this year’s FCS playoffs regardless of how much Simmons protests. After Prairie View (7-4) failed to secure an at-large bid, Simmons did what most coaches should and made a case on behalf of his team. Simmons explained the bulk of the disappointment was rooted in being told by the playoff committee that Prairie View needed to increase its strength of schedule from a year ago. “We increased our strength of schedule, and of course had to go through a nine-game conference schedule where we lost two games to two teams who haven’t lost a game to an FCS team all year,” Simmons said. “Grambling is ranked in the Top 25 in FCS football, and Southern warrants that, to be ranked. We felt we had done enough on the field, beat some really good teams, and played really well against Rice, scored 44 points on them and almost 500 yards to say, in looking at our body of work over the course of two years, we warranted a bid. Hate to break it to you, Willie, but losing to Texas A&M, Rice and dropping SWAC games to Grambling and Southern by a combined 30 points, does not make for a compelling playoff resume. Willie, my man. Listen. Illinois State — that 6-5 team which made the playoffs — beat Northwestern (a Power Five school) this year. Prairie View didn’t have a single win of note this season. None. Your team’s best win of the season was against a regressing 5-5 Alcorn State team that probably is going to finish the season with a losing record. There is no conspiracy or racial bias against the SWAC that’s keeping Prairie View out of the playoffs. The Panthers were just not good enough compared to their peers to make the cut. Any reasonable observer could see that. It’s not enough to just increase the nonconference schedule strength only to lose those games. Wanna make the playoffs? Beat the best teams in your division first. Don’t finish in third place behind them. Let your play on the field, not words or talking heads on social media vouch for you. Give the committee something to work with next time. Win and leave no doubt. This article is one hundred percent real. I like PV ‘s team, but that was not a team worthy of any type of post season consideration. If I were the coach, I would be running a campaign on how to make my team better because the team he is touting as being snubbed, is NOT a very good one.